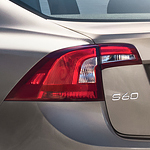 The 2019 Volvo S60 is a popular and luxurious full-size sedan. While the Volvo S60 offers many of the safety features that Volvo has made famous, it also contains many interior features that go far toward pampering and taking care of its occupants. Included in this feature list are specially appointed seats, personal climate zones, and even a virtual refrigerator. In the seating department, the Volvo S60 provides comfortable front and rear seats for drivers and passengers. Front passengers can enjoy the convenience and health benefits of massaging front seats. These seats can keep the driver and front seat passengers relaxed and supple even after long journeys. Passengers in the back can enjoy the Volvo ventilated and heated seat system. The heated seats complement the 4-zone individual climate control to provide occupants with unprecedented levels of personal comfort. In addition to all these perks, the Volvo S60 also comes fully equipped with a special refrigerated glovebox. Now, this small compartment can act as a virtual tiny fridge for extra drinks, food, or anything else that needs chilling.